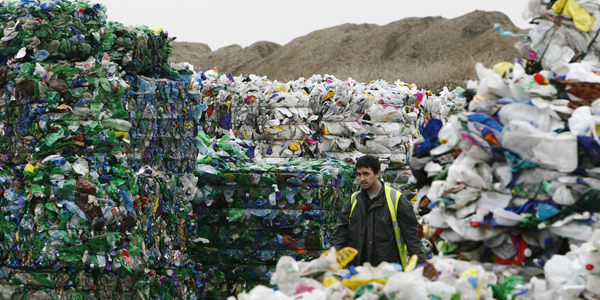 The Environment Agency (EA) is investigating suspected widespread abuse and fraud within Britain’s plastics recycling industry. It will deal with complaints that firms and organized crime are abusing the system. Data from the EA showed that six UK exporters of plastic waste have had their licenses suspended or cancelled in the last three months over concerns of high contamination rates. The EA said it was pursuing “several lines of enquiry,” including allegations that the waste was not recycled but was left to leak into rivers and oceans. The investigation will also look into UK firms accused of shipping contaminated waste when non-recyclable items are mixed in with recyclables items. Britain sends about two-thirds of its plastic packaging waste abroad every year. It includes plastic bottles, yoghurt pots and other items. The export industry is reportedly worth £50 million ($65 million) per year. “Waste crime damages lives, livelihoods and the environment,” said an EA spokesman. “We have a specialist central investigative team and dedicated staff up and down the country who tackle it. We take seriously all allegations of fraud and… will bring fraudsters and criminals to justice,” he told the BBC. The enquiry followed China and Vietnam having stopped importing British plastic waste amid concerns of high contamination levels. Poland is also considering restrictions.